It has been a while since my last blog post. Too long. This is due to HauteSpot Networks flurry of development. We have been working on solving the tough problems of delivering always connected wireless broadband communications for IP video. This effort is finally starting to bear fruit. One of the biggest issues that we have been working on is to build support on our WRAP and the eWRAP routers for seamless roaming between 4G LTE networks (like Verizon) and 3G CDMA/UMTS/HSPA+ networks. In the current state of broadband routers most have to either lock the modem into either 3G or 4G operation and then manually unlock and switch when roaming from a fixed location to another fixed location, or they undertake some rather dangerous software acrobatics to change the mode of the modem (aircard) by reflashing the EEPROM from a user space application (basically reprogram the modem/aircard function by rewriting its firmware). Our goal was to integrate into our wireless routers a new driver that takes advantage of the power of the new 4G chipsets, in particular the Qualcomm GOBI 3000/4000 which supports in one package LTE and virtually all of the 3G technologies currently available on the market. The driver needed to seamlessly roam between networks and re-establish connections without any drops and it needed to not make any risky changes to the firmware of the modem on the fly. The work was much more complex than we could have ever imagined, but we are almost complete. Not only did this require development of the driver, but it also required a complete rewrite of our operating system. This was good as it allowed us to move to a packaged distribution system that supports flexible featuring of our routers that goes way beyond just the 4G support. In basic terms we now have a completely new platform based on our same reliable hardware that supports high performance mesh, 802.11a/b/g/n AP functions, frequency agility, video encoding and transmission, and even VoIP. All in a low power, embedded, highly secure, highly reliable platform. Our routers will be able to accept a variety of modems from a variety of manufacturers, seamlessly roam between 3G and 4G, and in the future, if the carriers allow, inter-carrier roaming. We also added support for multiWAN interface aggregation. This allows us to load balance between multiple 3G/4G modems in order to aggregate bandwidth and improve reliability. The same OS and drivers will be ported to support not only our WRAP and eWRAP products, but also our microNVR and upcoming intelligent cameras. One of the key requirements of public safety and commercial security is bandwidth conservation. While 4G is great, it is not, and probably won't be available for a long time, in all areas. Once you leave the metropolitan coverage area you are back to 3G. In international applications this is even more true. So being able to send video over "narrow pipes" such as 3G connections which may only support 100kbps up is critical. Over the last year we have been working with SentinelAVE on enhancements to the MVE product to improve it's reliability and functionality over narrow pipes. The result is nothing short of incredible. We are now streaming high quality VGA resolution video at 6 to 8fps over 120kbps links. When bandwidth allows we dynamically ramp up to full resolution and full frame rate. At the same time we are recording a full resolution and frame rate for evidence and post event review. Even if you are on LTE using the MVE is a great choice since carriers are setting transfer limits and charging a lot of money once you go past these limits. By using low bandwidth monitoring until an event occurs, you can significantly reduce your recurring expenses. The other main development enhancements for MVE are the ability to rebroadcast from a receiving station into either HTTP as MJPEG push or pull, or as RTSP. This allows remote viewing from a single mobile camera by hundreds or even thousands of simultaneous users. The last key element of our mobile wireless video strategy is virtual private networking. This technology, which exists in all HauteSpot routers solves a number of issues. The first is that on cellular networks inbound route-able IPv4 addresses are going away. Future wireless networks are built using IPv6 with NAT routing at Internet peering points. This means that you can't get static IP addresses unless you are a law enforcement agency. Even then, the roam-ability of that address remain problematic across many carrier networks. You need static addressing in order to accomplish remote management. VPN connectivity solves this problem. 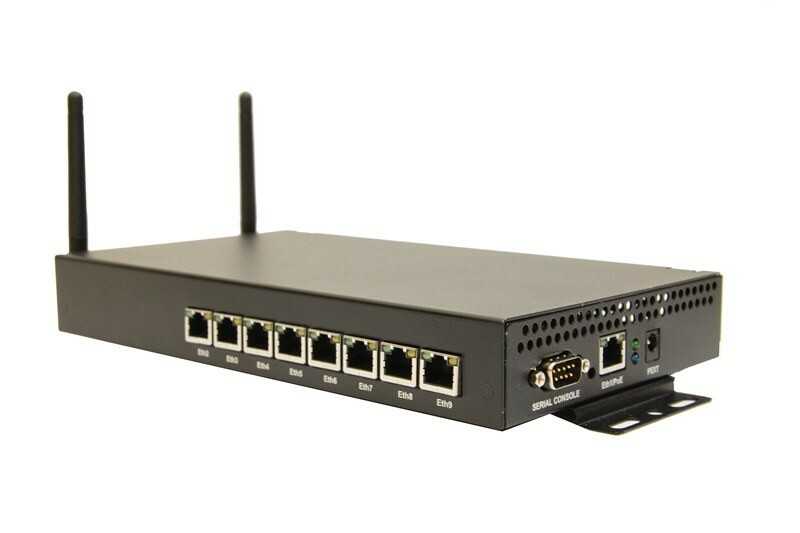 All you need to do is enable VPN client functions on your HauteSpot WRAP unit, have it connect with a HauteSpot HauteLINK gateway device, and you now have a connection that is persistent. Even if the IP address changes of your remote device, even if you roam from 4G to 3G, even if you plug into a LAN connection, the VPN connection stays on with a static, route-able connection. The VPN also encrypts your connection, making it nearly impossible for anyone to tamper with your data streams or video. The real value comes when we combine the new WRAP operating system and 4G/3G drivers with Mobile Video Edge and the HauteLINK VPN solution set. This combination allows you to literally put any video device anywhere. As long as there is a cellular carrier or private broadband connection in the area, you can securely move high resolution, high frame rate video and data from your remote site to a central monitoring point and then distribute it back out in real time. Not just talk, but reality. Check it out. I will be presenting this at the upcoming APCO International Conference in Minneapolis next month. Live demo and all.